Traveling to an exotic island and relaxing at a beach-side resort is a dream many people have. However, even those who get to live that dream must often travel on a budget. 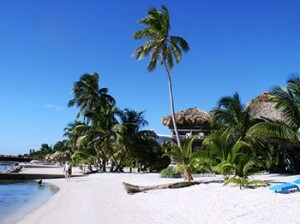 Exotic Caye Beach Resort is surrounded by many fun, exciting things to do that are free including visiting historical sites and snorkeling that won't stretch a tourist's wallet to the breaking point. Thousands of years ago, Belize was home to Mayan traders. There are 18 recognized historical sites on the 25-mile long island. One of these, the Marco Gonzalez Maya Site, was developed to provide information to visitors and residents regarding the Mayan lifestyle. The site has a visitor center, which displays artifacts and exhibits related to the Maya and guided tours through the archaeological site. There are also eco-tours that allow tourists to bird watch and see wildlife in its natural habitat. In addition to the Marco Gonzalez Maya Site, there are many Mayan temples in the area surrounding Exotic Caye that are free or low-cost and offer a deep insight into the Mayan history of Belize. The city of San Pedro is just minutes from the Exotic Caye Resort and offers many low-cost activities for those visiting the area. Shark Ray Alley allows snorkelers and scuba divers to swim right next to sharks and stingrays while windsurfers enjoy the perfect conditions on the beach. For those who want to indulge in the culture of the area, a visit to the Ambergris Museum and Cultural Center or the Gallery of San Pedro is perfect. One of the most popular attractions near the resort is the Hol Chan Marine Reserve that was established in 1987 to protect sea life that is unique to the area. The reserve also works to protect endangered species as well. A large cut in the reef that is approximately 25- to 35-feet deep provides habitats for fish species including the royal fairy basslets as well as one of the largest populations of moray eels. After snorkeling with the eels, visit Rico's who offer Eel feedings at 10:30 a.m. each day in a walled-in pond behind the restaurant. Children will love watching the crabs tumbling along the rock wall as they tussle over scraps of shrimp peelings. These fun but relatively inexpensive Exotic Caye activities can give visitors a feel for the culture and area around the resort without breaking the bank. In addition to these nearby attractions, visitors can enjoy snorkeling just off the beach within the resort to view beautiful, colorful aquatic life in their natural habitat.